Located in the centre of Hahndorf close to shops and restaurants. Clean, comfortable, well appointed rooms with secure parking area. 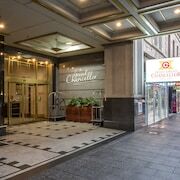 Brilliant position able to walk easily into Adelaide CBD area and near to Botanical Gardens. Beautifully relaxing atmosphere and very clean throughout. Great shower. Dryer not working at the time but clothes dried quickly with heater on. Host unaware until told of same. We opened the door and both said "wow". It was so different to anywhere we have stayed and we always look for something out of the ordinary. A perfect, cosy stay on a winter getaway. Historical touches without skimping on amenity. A short walk to cafés and pubs. Situated near the beach, this cottage is within 1 mi (2 km) of Moseley Square and Glenelg Beach. Brighton Beach and West Beach are also within 3 mi (5 km). Spotlessly clean and modern with lovely appliances. Great setting. Well appointed home. Top location. Friendly.